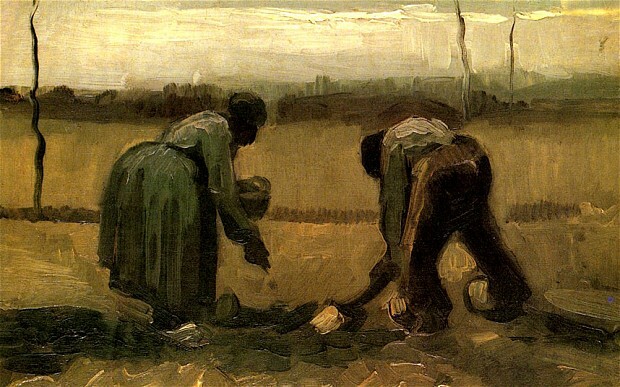 “Ora et labora.”Pray and work.This is the simple yet powerful motto of the Benedictines.On this Labor Day, let’s remember the dignity of work, even if it consists of changing dirty diapers and sitting in a carpool line! During this time of economic uncertainty, we can give thanks if our family members have employment.And if jobs have been lost, let’s make sure we pray for those who need work. Bless, 0 Lord of the centuries and the millennia, the daily work by which men and women provide bread for themselves and their loved ones. We also offer to your fatherly hands the toil and sacrifices associated with work, in union with your Son Jesus Christ, who redeemed human work from the yoke of sin and restored it to its original dignity.